The unusual sounds of Mica Levi's orchestrations are heard before the picture comes up in Pablo Larraín's Jackie, a mysteriously elliptical, superbly acted film. Star Natalie Portman will certainly be nominated for her mannered but highly effective turn as Jacqueline Kennedy. Strong as her costars are, Portman still overshadows the stellar supporting cast (Max Casella, Billy Crudup, Greta Gerwig, Richard E. Grant, John Hurt, John Carroll Lynch, and Peter Sarsgaard). Levi's dissonant score is certainly the best this year and goes a long way towards exposing Jackie's state of mind, allowing Portman to close herself off some and project the outward stoicism we remember her for during the national tragedy of her husband's assassination. While the screenplay itself may appear at first glance to use the Camelot cliche as a kind of crutch, or overexplain things it should show, what Jackie really does is use this literalness to demonstrate how adept its protagonist was at portraying the First Lady character and sticking to the script the media had drafted for the American public. Larrain's direction of Portman and application of Levi's brilliant score develop a counternarrative that destroy any perception of fragility one may have once searched for in America's First Lady. Far and away the frontrunner for best picture of the year, Damien Chazelle's Hollywood musical is at once a throwback and something utterly fresh. The framing, both literally and figuratively, is that of a cliche boy-meets-girl, boy-loses-girl, boy-wins-girl-back classic in this ode to West Hollywood. And ay, there's the rub, for this is no simple homage to the 50s Technicolor musicals that La La Land evokes in both look and tone. Chazelle may take pains to make sure the sky has the filtered beauty of the magic hour so prevalent in its, for many, outdated filmic predecessors. However, the director foregrounds the complex emotions and modern sensibilities intruding on the movie's soaring attempts to celebrate starcrossed love. Ryan Gosling's piano-playing non-conformist no doubt speaks for the filmmaker when he advocates for traditional jazz, but too often lapses into mansplaining the music's significance as a rare native art form, borne out of passion and roiling with change, that is all but ignored by the society that spawned it. Emma Stone's individualistic actress represents the empowered female of today, the one who successfully merges vulnerability with iconoclasm to further herself and her career at the expense of an easy fairy tale romance. Both are figures that would frustrate any self-styled Arthur Freeds trying to fit them into their idea of a musical romance. 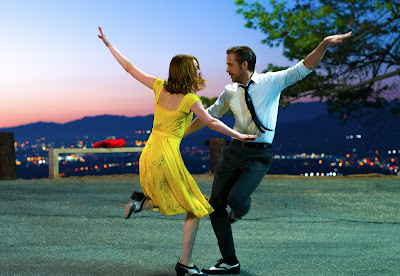 Married to catchy tunes, a little bit of softshoe, and a celebration of the artifice in movies, what you will nonetheless take away from La La Land is not that they don't make them like this anymore, but that they never really have. Icy cold and stylish, Tom Ford's revenge movie still packs a brutal wallop if you're tuned in and resist being pushed off by the director's distancing effects. Amy Adams plays a rich girl gallery owner married to effete, always traveling businessman, Armie Hammer. Ford compares their loveless marriage to Adams' previous, more emotionally rich union with author Jake Gyllenhaal, a comparison that gains more mystery and heft when the author sends his soon to be published roman à clef to his ex-wife. Ostensibly a peace offering, Gyllenhaal's novel, which shares its title with the film, is really a kind of bait designed to entice Adams into rekindling her feelings for the man she left. 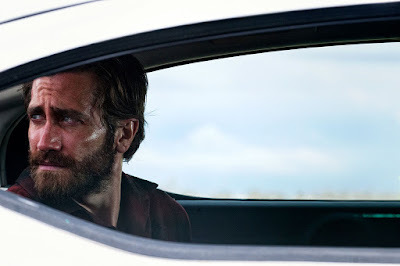 Gyllenhaal's story takes on more sinister connotations as Adams starts to recognize herself and him in the book's protagonists, an unhappy couple who, along with their daughter, are terrorized one fateful night by hoodlums on a desert road. While Ford's detached view of Adams' narrative initially seems a misstep, making the viewer maybe over-invest in the novel's earthier yet harrowing narrative, all comes together by the end. Ford flips the script on us, suggesting that the filmmaker has simply been keeping us on our toes, deliberately keeping us from getting too attached to the sympathetic Adams. Her "sad eyes" and lip-service towards "sensitive" men mask the heart of a calculated opportunist willing to hitch her wagon to the next best thing, especially if she believes it can fill the void inside of her with the warmth and humanity we learn she's lacking.